The Vigor’s styling remains distinctly Japanese on the whole, particularly with the frameless side windows that were all the rage from companies like Acura, Lexus, and Subaru in those days. Still, it doesn’t look like every other car on the road, either. I am particularly fond of the inboard fog lamps that give the front end a distinctive look also reminiscent of the contemporary Integra, but with a grille. The large taillights are again distinctive, and the car’s long, low front and high tail give it somewhat of a slim, sleek profile. The Mercedes-esque door handles were one of the first applications of that detail on a Japanese car – something that most if not all of them have today. I am also a fan of the flared wheel arches and (for the time) large alloy wheels with moderately low-profile tires. Again, unusual for the time but relatively commonplace today. I drove the Vigor when they were first released in 1992, at the dealership in Berlin, Connecticut just off the Berlin Turnpike. At the time I was a bit of a Honda/Acura junkie, with a bulletproof 1985 Prelude as my daily driver at the time having replaced a string of needy and unreliable European cars. Thinking about my impending college graduation and dreaming a little, I decided to go and check out this car I’d read about reportedly combining Japanese reliability with German dynamics and was, frankly, more than pleasantly surprised. What I found was a car that was at least as peppy as any Audi I’d driven, but remarkably lacking in torque steer. 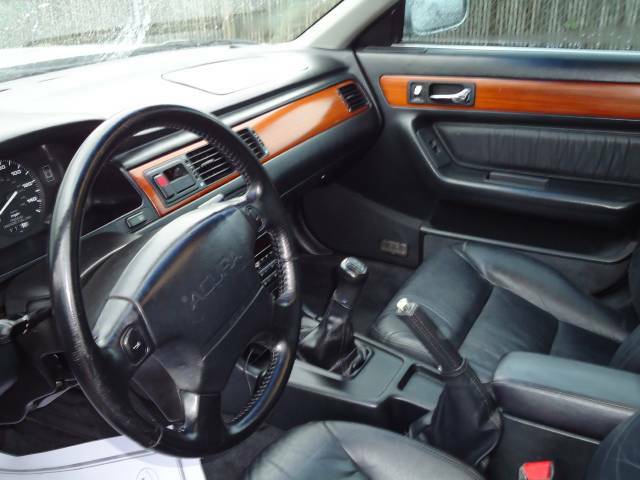 While the interior would be familiar to any accord owner, the zebrano-looking wood accents gave it a European flair. 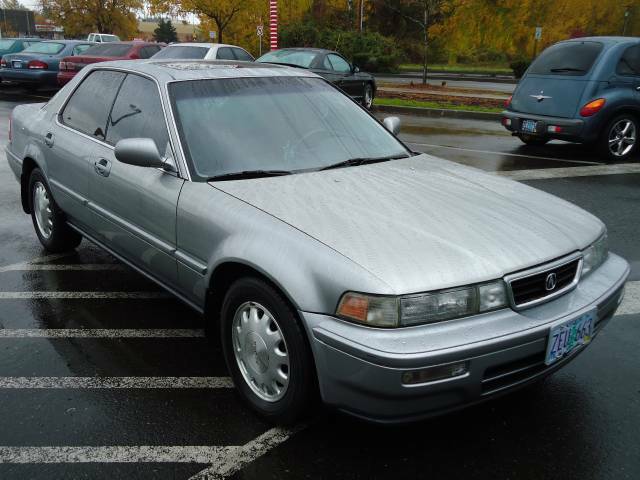 The GS-model’s stereo, with Dynamic Sound Processing that essentially added sound effects to your radio and tapes, was really novel for the time, and I loved the sliding glass roof and the “Jesus” handle mounted on the A-pillar just like my Prelude. With the inline-5 cylinder 2.5 liter motor mounted back of the front wheels, the Vigor has an ideal nearly 50/50 front/rear balance, and that comes through in its handling. For a Japanese car, particularly with the well-mated 5-speed, the Vigor feels decidedly sporty. Critics complained that the Vigor was too stiff, and it was softened some for the 1994 model year, which frankly took away some of its appeal in my book. 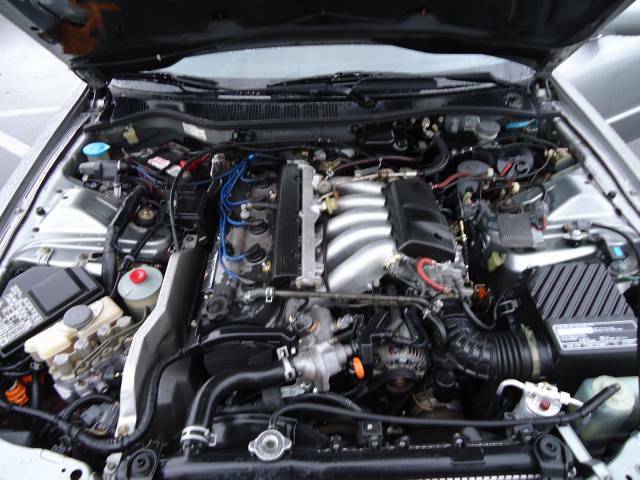 The 2.5 liter motor delivered 60 mph in about 8.5 seconds – very competitive for the class at the time, and it is much better suited to the alick honda 5-speed manual transmission than earlier 2.7 liter V6 Legends were. The Acura TL that replaced the Vigor for 1995 was a bland almost generic-looking mid-sized Japanese car, leaving enthusiast buyers to seek out the three model year only Vigor – even today. The tuners like them, but nice stock examples can still be found, and if you’re in the market for something reliable and utterly inexpensive that can carry the family and the groceries but with the qualities that wooed a lot of Americans to Japanese cars in the late 80s and early 90s, you could do a lot worse than a Vigor. I still have a soft sport for them, never having actually bought one, and may still one of these days if even just for a little while. 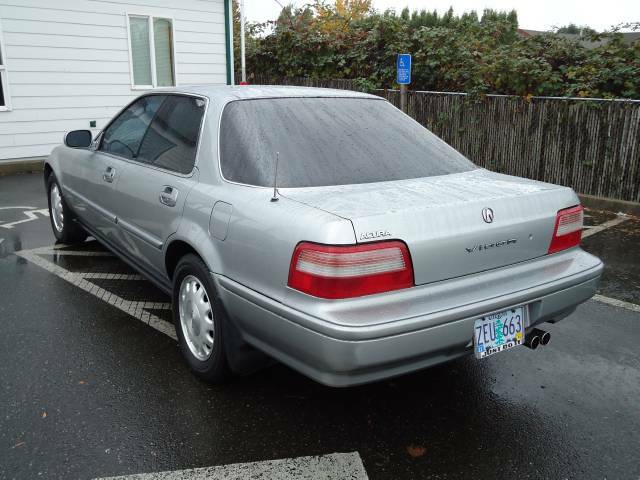 This entry was posted on Friday, January 20th, 2012 at 11:27 AM	and tagged with Acura Vigor, Audi 5000, G25A1, Honda Accord, Integra, Legend, Prelude, Unintended Acceleration and posted in The Kitchen Sink, Totally That Stupid. You can follow any responses to this entry through the RSS 2.0 feed.